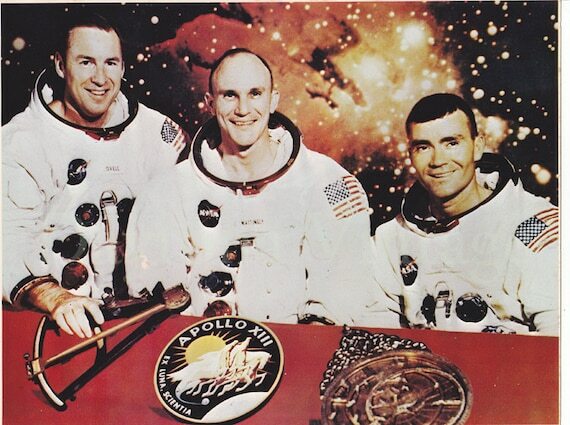 Apollo XIII Crew Photo of James Lovell, Tom Mattingly, and Fred Haise. On photo-stock and appears to be new old stock – very good condition. Sold as a used collectible, as is. Measures 8 x 10 3/4 inches.